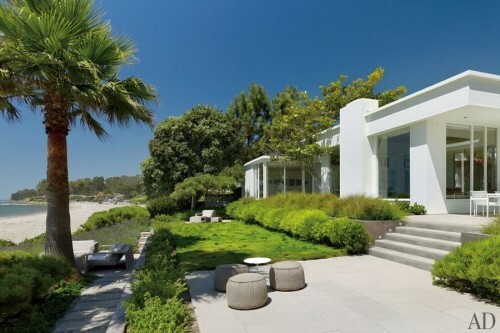 Gorgeous beach house designed by Abigail Turin in Carpenteria, California. B&B Italia Metropolitan armchair accompanied by a Moroso stool. Mobile by Mattia Biagi. So incredibly beautiful…it’s freezing in London and I would love to be here right now! Landscape by Marmol Radziner and outdoor furniture by Paola Lenti.